Give your sensitive skin exactly what it needs, an intensively nourishing formula that restores and protects your damaged skin. This natural cream is rich in organic argan oil from Argan d'Or. The essential fatty acids in the oil treat your skin for skin conditions such as acne, eczema, psoriasis and rosacea. This unique Fair Trade argan oil is handmade and cold-pressed by Moroccan Berber women. 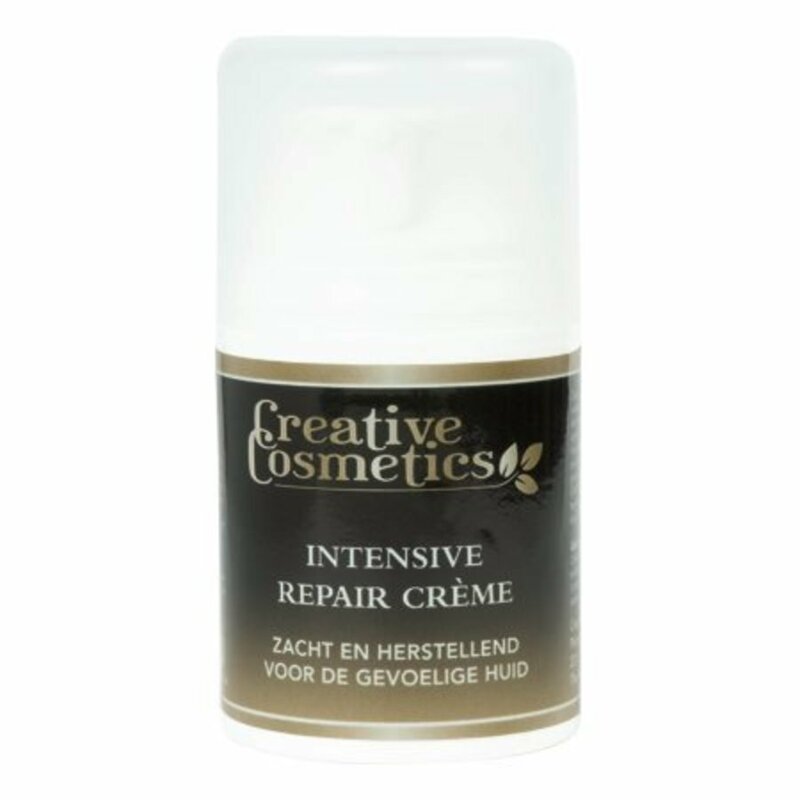 This cream is very suitable for use as intensive nourishment and effective anti-ageing treatment, but especially for repairing damaged, rough and sore skin. Immediately after applying the cream, the natural red algae start protecting you from the harmful effects of daylight (UVA Filter). Care for your skin with the riches of nature. Don't confuse a UVA filter with a sun protection factor (UVB) that protects you from the sun. 1) Apply the Creative Cosmetics cleansing milk on a cotton pad, this gently cleans your skin. 2) To complete your cleaning routine, use the Creative Cosmetics cleansing lotion for deep cleansing. 3) Lightly tap a thin layer of eye cream on the clean skin around the eyelids daily. 4) After cleaning your skin, apply a delicious layer of intensive repair cream so that you can go to bed with peace of mind. If you can't figure out which nourishing cream is right for you, WhatsApp your question to 06 15 15 49 91. We will give you custom advice, free of charge.